One of the most influential modern stars in Texas’ long country-music tradition, Pat Green has left a mark on the lives of countless fans and generations of artists, helping to solidify a cultural movement bringing artists from the Lonestar state to the national stage along the way. The problem is, he’s always been too modest to admit it. Now with the release of Dancehall Dreamin’: A Tribute to Pat Green, the legendary troubadour has no choice in the matter. He’s being saluted by those who know him best – artists like Jack Ingram, Randy Rogers Band and more – with a surprise album meant to highlight some of the icon’s best-loved songs. Conceived as a heartfelt gift for Green’s 46th birthday, Dancehall Dreamin’ looks back over a career which has put the star at the vanguard of Texas country. 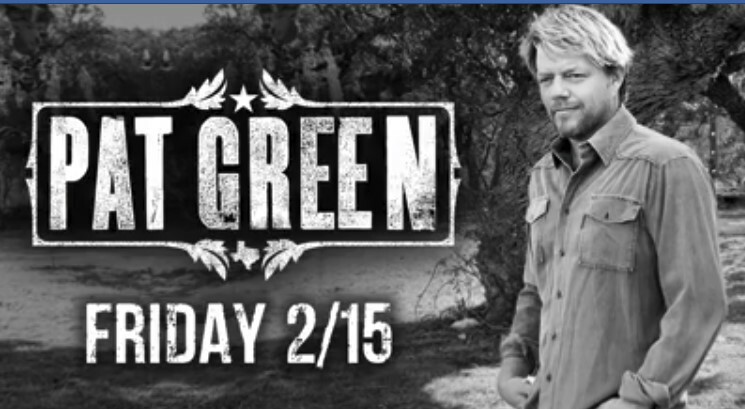 Since 1995, Green has released 13 albums (12 recorded in studio and one live), and sold more than two million records, racking up a staggering 12 Number Ones on the Texas Radio chart (including his most-recent single, “Drinkin’ Days”). Green has also released ten Billboard radio hits and has placed songs like “Wave on Wave” in the Top Five of Billboard’s Country Airplay chart. He’s been nominated for three Grammy awards and is still regarded as one of the most electrifying entertainers on tour, covering millions of miles and filling venues like the historic Gruene Hall and the massive Houston Astrodome with equal ease. Even mainstream stars like Willie Nelson, Kenny Chesney, Keith Urban and Dave Matthews have taken Green out on the road, recognizing the mass appeal of his everyday anthems, dedicated to the simple joys and inevitable heartbreaks of the American experience.